We all know that drinking lots of water daily is good for our health, some even suggested increasing water intake to lose weight. But did you know that by adding few ingredients, you can boost water’s benefits for your body? 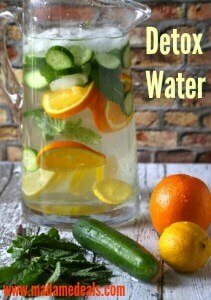 Have a healthier digestive system by flushing out toxins from your body, and you can do this by making it a habit to take detox water daily. 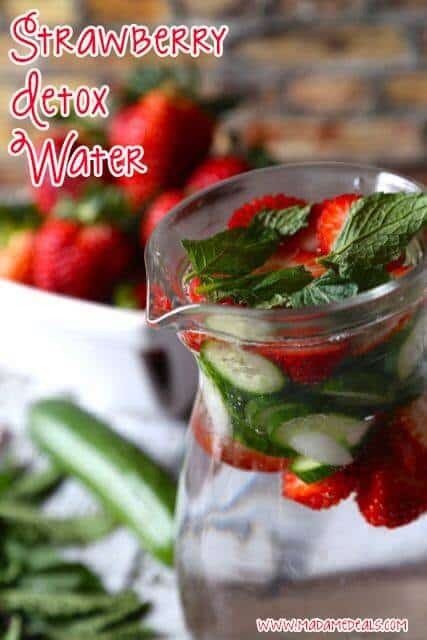 This Strawberry Detox Water recipe is super easy to make and one of my favorites because of the sweet taste of strawberries. 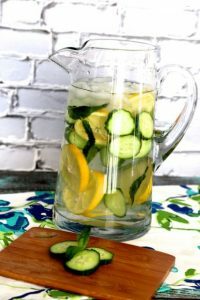 This is the perfect detox water for summer, it’s refreshing and helps hydrate your body with a boost of antioxidants and minerals from the fruit. 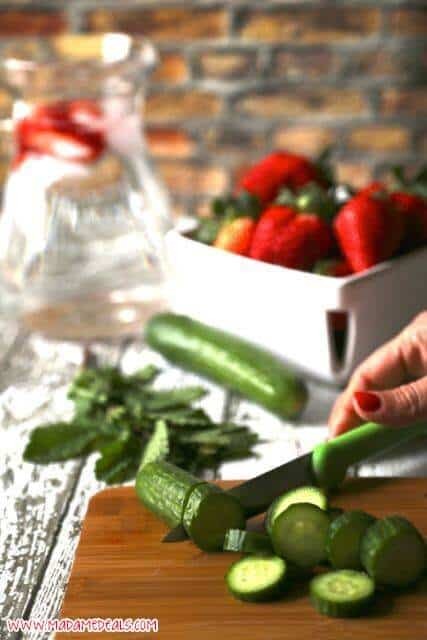 Just cut the cucumber and strawberries and put it in the water. Then add the mint leaves. You can also add some ice. It’s best that you leave this on your refrigerator overnight.